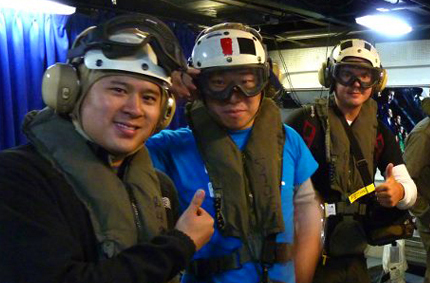 It was an honor to be invited by the U.S. Navy and sponsored by Guy Kawasaki and Dennis Hall to stay over night on the USS Abraham Lincoln AirCraft Carrier. 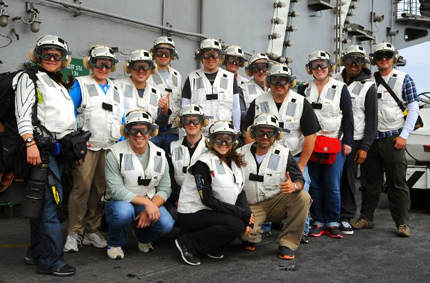 We were invite to participate in the U.S. Navy's outreach program to social media personalities to participate in social media embarks, campaign to bring a better awareness of the U.S. Navy. The understanding of the role of carrier aviation, as well as demonstrate the high-level of training required to keep our Sailors ready to meet the nation’s needs. 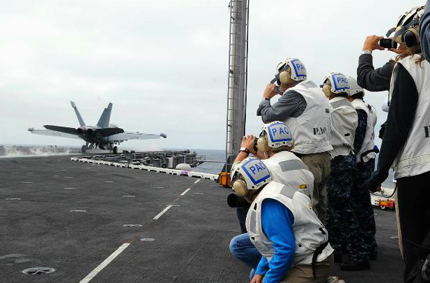 It was such a great experience, we got to see rare first-hand look, at life aboard a U.S. Navy aircraft carrier, and witness the flight operations on the deck. 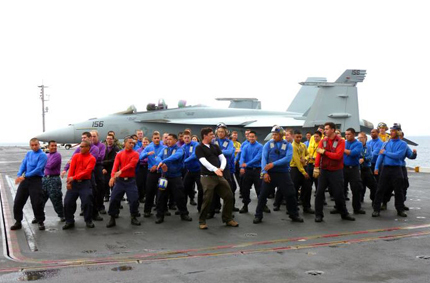 The pride and professionalism of young men and women who serve our country at sea. I also have a greater appreciation for our service men and women that protect us from harm. There were lots of bonding time with my other shipmates. Check out all my photos from my trip on the USS Abraham Lincoln AirCraft Carrier. Merilyn, It was great hanging out. It's hard to believe its been so long since our trip. What an incredible experience you had, Calvin!